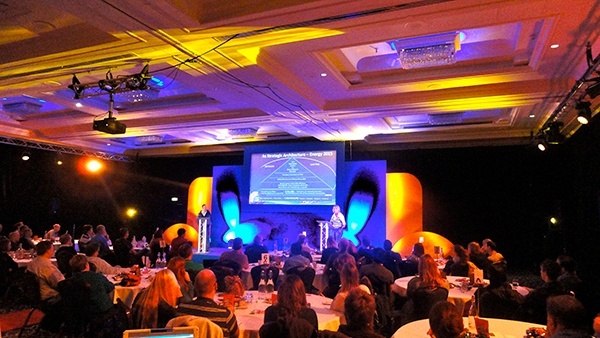 The client wanted an exciting and engaging edge to their annual conference which was to promote the re-branding of their products as well as introduce a new company philosophy to the attending delegates. This event was to include team building activities along with a dinner and awards evening. We created the theme of 'A New Dawn, A New Day' to accompany the emphasis of the new strategy behind our client. The De Vere Harbor Hotel in Southampton was the ideal location to hold a conference and evening dinner for the amount of delegates attending. The challenge to us was to bring ideas for break-out rooms to keep delegates refreshed and interactive with the days overall goal. We also provided team build activities to break up the day between the conference and the awards and dinner evening. The solution for the break-out rooms came in the form of a few rooms themed in different ways with specific goals to educate and gain interaction. The break out rooms we created included a cinema and grocery store. To break the day up, a scenario was created where the delegates were split up into teams which were already per-determined by name badge colour and t-shirts given to them. The general story and challenge behind the day was to crack the code the secret agent had set out. In order to obtain the correct combination of numbers, a treasure hunt involving clues were scattered around various places along The Solent. 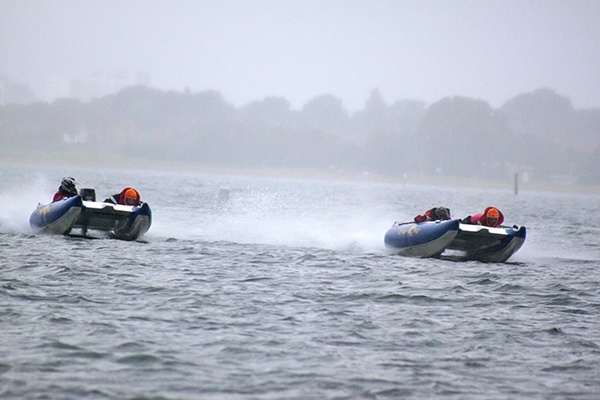 The team build included 12 speed boats racing along The Solent to a remote island off of Bournemouth, where several team activities took place. 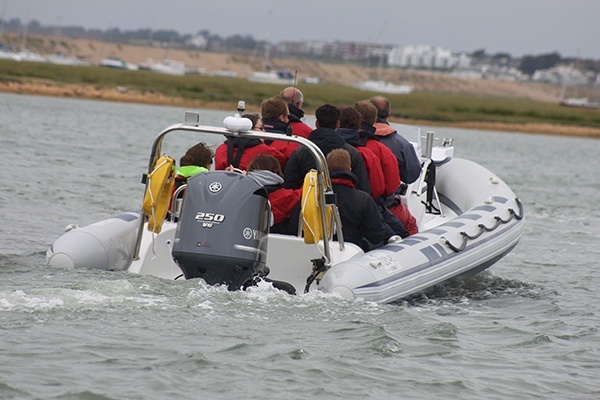 The teams then sailed off to Cowes, Isle of Wight to complete their overall task and crack the code. The day's activities allowed enough time back at the hotel for the themeing to be changed for the dinner and awards evening by our event planners. There was time also for the set up of entertainment features for delegates to enjoy. Before entering the dinner room, several tables were laid out in the hallways representing different countries and their local delicacies that you would try when visiting those destinations. Delegates would then enter the main room and enjoy the gala dinner and awards evening.